Here you will find a collection of resources and reports published by agencies in Oxford County. If you have a report you would like to share, please send it to info@spcoxford.ca. Starting March 30, 2016, over 11,000 Oxford County households will receive an invitation in the mail to participate in the Community Oxford Wellbeing Survey as part of the Future Oxford planning. This survey is designed to gather baseline data about your quality of life as a resident of Oxford County. The survey is conducted by the Canadian Index of Wellbeing (administered by the University of Waterloo). Survey recipients have been randomly selected by community, to ensure we have a full picture of the health and wellbeing of each corner of Oxford County. Go to www.communityoxford.ca for more information. Your voice matters! Results of the survey will be shared starting this summer. Have a question? Check out the FAQ! The Woodstock and Area Community Health Centre published Word of Mouth: Oral Health in Oxford County, 2014. To view the report please click the link below. A new way of buying fresh fruits and vegetables (produce). The more we buy as a group… the farther our money goes! To view more information on the Garden Fresh Box please click the link below. Food Secure Oxford is working to ensure that all Oxford County residents will have access to, and can afford to buy safe, nutritious food that has been produced in an environmentally responsible way that sustains our rural communities. You can learn more about their organization at their website. Need help finding food assistance/food bank programs in Oxford County? The Food Access Card provides information on programs in Tillsonburg, Ingersoll, Woodstock, Norwich and Tavistock. To view the Food Access Card please click the link below. 211 is your first call for free information about community, social, health and government related services. When you dial 2-1-1, you will be speaking to a real person, trained in providing accurate information and referrals that best meet your needs. These trained information specialists are available 24 hours/day, 365 days/year. Call 2-1-1, Toll-free: 1-866-686-0045, TTY: 1-866-488-9311 or visit the website. Are you new to the area? Are you thinking about planning a move to Oxford County? Welcome to Oxford, includes information on Living, Working , and Learning and will describe everything you’ll need to know to move here and get settled. The Oxford Master Aging Plan was funded by a grant from the Ontario Trillium Foundation. It serves as a road map for the future development of services for seniors and will inform planning of public, private, and not-for-profit organizations and service providers in Oxford County. The 2011 Annual Report on the Nutritious Food Basket Survey by Public Health & Emergency Services. To view the Cost of Healthy Eating Report please click the link below. The Healthy Communities Oxford Community Picture Report 2011 is an overview of the health and socio-demographic attributes of Oxford County residents. To view the Healthy Communities Oxford Report please click the link below. “The Tillsonburg Emergency Accommodation Management (TEAM) was created by a network of individuals and community organizations in response to developing a collective understanding of the emergency housing needs within the Town of Tillsonburg. In February 2010, Tim Welch Consulting Inc. was retained to complete a Needs Assessment for Emergency Housing. To view the Emergency Accommodation for Homeless Persons in the Town of Tillsonburg, please click the link below. In the 2009 Oxford Youth Matter report, 1744 local high school youth were surveyed on things that matter in their lives. To view the Oxford Youth Matter report please click the link below. The 2008 Social Report explores the quality of life for the residents of Oxford County. To view the 2008 Social Report please click the link below. response for Oxford County.  It provides a comprehensive review of the current substance misuse situation in Oxford County and accepted “best practices” for addressing these issues at the community level. To view the Situational Assessment click the link below.